How is Tramadol Abuse Diagnosed? What Are the Effects of Tramadol Abuse? Who is at Risk for Tramadol Addiction? Tramadol abuse can destroy lives, but it's not a choice. It typically doesn't happen overnight, so many addicts many not recognize their use has turned problematic. Just as with any drug, tramadol addiction warrants treatment and compassion, not derision and contempt. Tramadol, which is marketed under numerous trade and generic names throughout the world, is an opioid-like drug, making it a chemical relative of heroin. For recreational drug users, the addiction usually occurs more quickly. Even prescription users can become addicts and some may not realize their use has become a problem until they try to quit the drug. Using progressively larger doses of the drug. Ignoring the use recommendations your doctor provides. Changes in behavior, relationships, mood or personality. Spending more time alone or among addicts. Difficulty fulfilling career or familial obligations. No test can tell you you're a tramadol addict, but tramadol addiction is a disease just like diabetes or cancer. It's up to you to assess when your tramadol use has become problematic, but addiction often comes with a healthy serving of denial. Chemical dependency--Dependency means you experience withdrawal symptoms such as involuntary muscle movements, depression or anxiety in between doses or if you attempt to quit using. Adverse outcomes--Using tramadol in spite of negative effects associated with the drug almost always indicates an addiction. The only exception is when your doctor has prescribed the drug and the side effects are tolerable and mild. If you're worried about a friend or relative who's abusing tramadol, call our toll-free number at 1-888-993-3112Who Answers? to speak privately to a treatment support operator about tramadol recovery programs in your area. 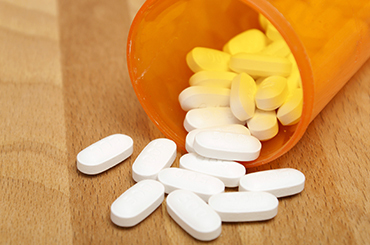 The effects you experience as a result of tramadol abuse are highly individual. Some people use for years without serious side effects; others overdose in a matter of months. Lifestyle factors, age, and your overall health determine how tramadol affects your body. Emotional turmoil in the form of anxiety and depression. New or worsening mental illness. Changes in eating or sleeping habits. Gastrointestinal problems such as frequent vomiting, diarrhea or nausea. There's no reason to combine tramadol with any other substance, and when you do, you're risking your life. 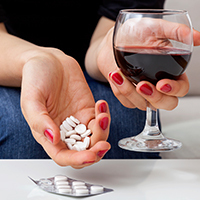 Tramadol is especially dangerous when combined with other central nervous system depressants such as alcohol or other painkillers. The two drugs together can stop your breathing and slow your heart rate. Any mind-altering substance, though, can negatively interact with tramadol, so tell your doctor about your tramadol habit before taking any drugs--including prescription and over-the-counter medications. Anyone who takes tramadol can develop an addiction, even with a valid medical prescription. and others who work with animals can readily gain access to the drug. This increases their risk of abuse. Other risk factors include a history of trauma or abuse, mental illness, chronic pain, or a family history of drug and alcohol addiction. Prompt treatment for tramadol abuse can reverse the course of your addiction.If you're worried that your tramadol use is interfering with your happiness and well-being, the time to seek help is now. Addiction is a progressive illness that almost inevitably worsens over time. Prompt treatment, though, can help reverse the course of your addiction and teach you the skills you need to maintain a sober and healthy life. Obsessing over tramadol by constantly thinking about your next use, how you'll get it, or how you'll feel when you use it. Requests from loved ones to seek treatment. Doing things you regret because of tramadol. Difficulty concentrating or feeling like yourself without tramadol. Feeling like you'll never be able to kick your habit. Endangering your loved ones or yourself to get tramadol or while under its influence. 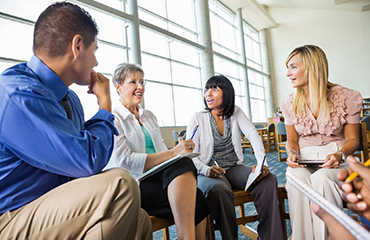 Find Support Now Narcotics Anonymous offers a 12-step recovery program with meetings throughout the country, at virtually every time of day. Find a meeting for yourself or a loved one. If someone you love has an addiction, the pain and anxiety of always worrying about them can be overwhelming. Tramadol can cause addicts to disconnect from their loved ones, and to lie, cheat and steal. Your loved one may even insist that they "need" tramadol to be healthy. You can't force another person to get better, and attempting to do so will only make you feel worse. Instead, gently encourage them to seek treatment, and remember that addiction is a disease, not something your loved one has chosen. If your loved one refuses to seek treatment, you'll need to set clear boundaries to protect your well-being. Tramadol addiction does not have to destroy everything you hold dear. Treatment really does work, but you have to be willing to stick with a treatment regimen even when the going gets rough. Outpatient tramadol treatment allows you to continue meeting your daily obligations while getting treatment. If you're just beginning the sobriety journey, a more intensive program can be ideal. You may also want to consider blending several different treatment programs to get the best results and the most comprehensive support. Partial hospitalization and intensive outpatient programs offer the intense support of rehab, but with the chance to return home at the end of the day. Most programs use a step system, which begins with intensive all-day treatment and gradually steps down to more infrequent treatment. Therapy can help you understand why you use, offer you healthier coping mechanisms, and give you a chance to discuss the stress of everyday life. 12-Step programs--which are free and meet across the globe at virtually every time of the day--offer support for addicts who have been there. Many tramadol addicts find Narcotics Anonymous or Pills Anonymous to be very helpful, and some are able to recover solely with the assistance of these programs. Medical detox helps you accomplish the first--and most challenging--step toward sobriety under the watchful eye of medical professionals. Most programs are outpatient only, but some require a brief inpatient stay of a week or so. Inpatient tramadol treatment is ideal for addicts uncertain about their ability to recover. You get a break from peer pressure and can relax away from the stress of home. Every facility offers something different, but most offer a combination of medical care, therapy, group treatment programs and education about addiction. Luxury rehabs feel like a recovery vacation. You'll stay at a rehab that resembles a resort, and may have access to gourmet food, lots of classes, and plenty of space and privacy. If stress and exhaustion play a role in your addiction, luxury rehab can help you get the break you deserve. Executive rehab facilities offer a level of luxury similar to that of luxury facilities, but with a concentration on busy professionals. You'll have access to office equipment, and may even be able to meet with business partners and clients at the facility. Because privacy is of paramount importance at these facilities, you'll never have to worry about your information being leaked or your business contacts learning you're in rehab. It can be overwhelming to choose between different treatment options. If you're confused and need help assessing a tramadol addiction treatment plan that best suits you, our helpline operators are available 24/7 to assist. Call our toll free number 1-888-993-3112Who Answers?. If you catch your child using tramadol, you need to act quickly. Tramadol is often more accessible to teens than street drugs and it is every bit as dangerous. Some teens mistakenly believe it's safer to abuse prescription drugs; others relish the chance to get high using what's in mom or dad's medicine cabinet. Talking to your teen--on a regular basis, not just once--about the dangers of addiction can help encourage him/her not to turn to tramadol to cope with stress or get a pleasurable high. You can't punish your child into sobriety, but you can offer the treatment and support they need to get clean. Offer them help and love, but make it clear that you will not sit idly by as they allow tramadol to wreck their life.